Cuentos de mujeres solas is a thirteen short stories compilation using as a central theme, solitude. Solitude is part of the human condition and in this book it was observed as part of women’s existence. 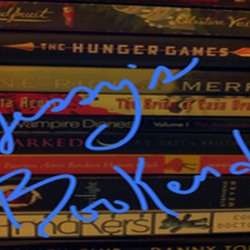 The first thing that grabbed my attention was the book’s cover: a sad blue woman. I couldn’t help but wonder what makes her so sad. I think maybe she is lonely after a failed date. She looks unlucky and unloved. 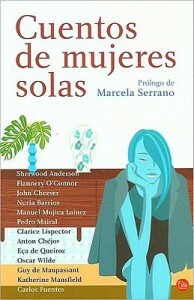 In Cuentos de mujeres solas, every main character in the short stories chooses her way to keep herself aside from life. For them loneliness is a decision, a way of living every day. What is interesting is loneliness explained from different points of view: men and women; it’s how a man sees us and how we perceive ourselves. The stories are diverse, and certainly, what made this possible are the backgrounds of its authors. You can understand the authors a little more, by reading a useful appendix with the author’s biographies at the end of the book. Also, the book has a really good prologue by Marcela Serrano in which she analyses the merits of these short stories as an experience that could help any woman to identify herself with the character and in the process, recognizes her own.